A fast-acting, creamy, dual performance mask designed to clarify, exfoliate, brighten and freshen the skin for a more luminous and radiant skin surface. 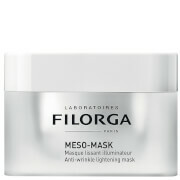 It also leaves skin looking more youthful, firm, plump and radiant with reduced lines and wrinkles. Ideal for normal, oily, dry and combination skin it helps diminish acne scarring and repair sun damaged skin. Exfoliates and clarifies the skin for a more radiant complexion. Skin Saver When my skin is dull or congested, I apply Liquid Gold Smoothing & Perfecting Mask by Alpha-H. Susannah Edwards, Elle Beauty. Apply weekly to cleansed skin. Leave on for 10 minutes. A mild tingling sensation may be experienced. Remove with warm water and a washcloth, ensure no residue is left. Follow with your preferred serum or moisturiser. 15% cosmetic grade Glycolic Acid exfoliates and brightens. Wheatgerm Oil - high in Vitamin E; nourishes and improves skin elasticity. Lavender Oil - calms and heals. Great for breakouts and acne scarring. Honey - soothes and reduces redness. Macadamia Seed Oil - moisturises and repairs. When I am having my skin sunday, this Liquid Gold Smoothing & Perfecting Mask is the 2nd mask I apply when I am doing my "triple threat facial" and I layer some Liquid Gold underneath before applying the mask - this mask is no joke and my skin just feels great when I remove and then finish with a hydrating mask which I sleep in. 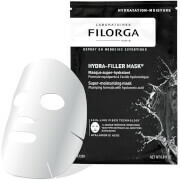 Unless you have ultra sensitive skin, this mask is a must have in everyone's skin care arsenal! Liquid Gold Smoothing & Perfecting Mask is perfect and has made my skin alot smoother.